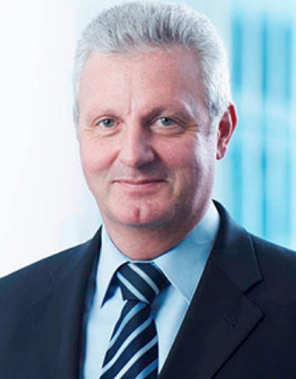 Juergen Goeller is the Director Sustainability of Carrier Transicold & Refrigeration Systems. He leads Carrier’s participation in the main European industry associations and serves as the current Co-Chairman of the Global Food Cold Chain Council (GFCCC) and as the current Chairman of the European Partnership for Energy and the Environment (EPEE). Juergen has been with United Technologies Corporation (UTC) since 2008 holding different executive management positions in its Carrier Business Unit in Engineering, Marketing and Sustainability/ Regulatory Affairs for Carrier Commercial Refrigeration, Carrier EMEA, UTC Climate, Controls & Security EMEA and Carrier Transicold & Refrigeration Systems. Juergen holds a Master of Science from the Technical University of Darmstadt, Germany and a Post-Graduate Degree (PGD) and MBA from the Open University of Hagen, Germany.